This has got to be the most cliched part in Auckland to do photo-shoot but it doesn’t mean we shouldn’t do it right? not the best framing as you can see there’s a huge tent that photo bombed us haha. 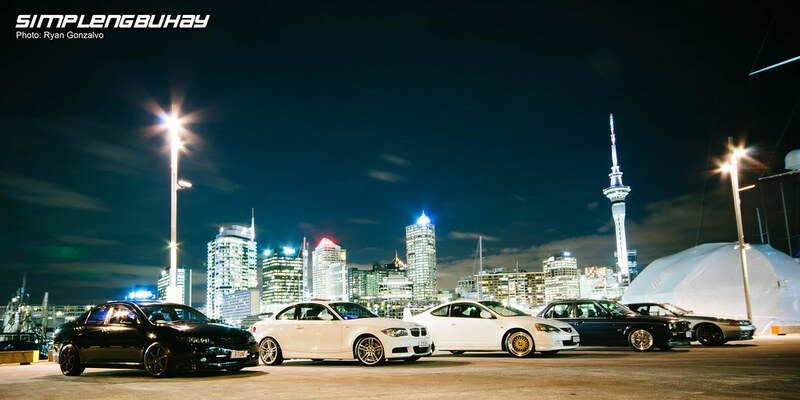 it’s still a good turnout that night, finally able to see stckshftTerence’s new 135i and stckshftGwen’s r32.